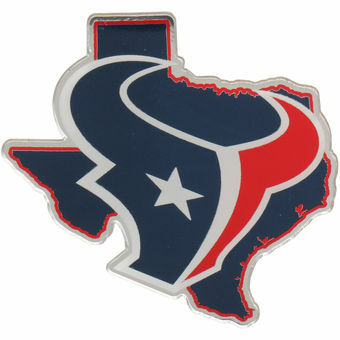 The Tennessee Titans and the Houston Texans will meet on Monday Night Football at NRG Stadium. Their ugly start to the season is now a distant memory. The Houston Texans can set a franchise record on Monday night Football. The Texans own a two-game lead atop the AFC South. They will go for their eighth consecutive victory after opening the season with three straight losses, including a 20-17 setback at Tennessee in Week 2. TV: 8:15 p.m. ET, ESPN. Surging Houston is coming off consecutive two-point triumphs at Washington and Denver. That gives the team four victories by three points or fewer during its winning streak. The Titans squandered a chance to make Monday’s matchup a showdown for division supremacy. They followed a pair of decisive wins over Dallas and New England with a 38-10 loss to Indianapolis last week (as the Titans were +2 point underdog). The 5-5 Titans are a befuddling team so far this year. Marcus Mariota had his two best games in the wins over the Cowboys and Patriots. It was feared that last week’s injury was related to the elbow issues that have plagued him for most of the season. It forced him to miss the Week 2 matchup versus Houston. Running back Derrick Henry, who was used out of the wildcat in the first meeting, could be in line for a heavier workload as part of a backfield tandem with Dion Lewis. Corey Davis is Mariota’s top target with 45 receptions. It’s unclear if fellow wideout Taywan Taylor will return after a two-game absence. Tennessee had the NFL’s top-ranked scoring defense until it was shredded by the Colts. The 7-3 Texans have improved play each week their franchise QB has after coming back from injury. Watson had his NFL coming-out party against Tennessee last season in his third career start. He threw for four touchdowns and rushed for another as Houston set a franchise record for points in a 57-14 rout. He has not thrown for more than 239 yards in his last five starts and the Texans have scored more than 23 points just twice. Wide receiver DeAndre Hopkins has at least one TD catch in five straight games and eight overall after posting an NFL-high 13 receiving scores last season. Running back Lamar Miller is providing balance to the offense with at least 18 carries and 86 yards rushing in three of the last four games. The Texans are fifth in scoring defense (20.5 points). Hopkins has at least 100 yards in three of his last four versus Tennessee, including 110 and a TD in Week 2. J.J. Watt has registered 10 sacks on the season, including one in each of his last three games. Get a 30% Bonus on EVERY deposit at BetAnySports. Just Mention Handicappers Hideaway!! !